Lately I have used this sentence quite a lot, "It´s been some time since I scrapbooked ..." and thats not an understatement! Since we moved to Karlstad from Falun there just has not been any time for that, even thou my last project has been in the making for a couple of months. Strangely enough, after beeing extremly satisfied with the finished result, I discovered I had made a very similar LO before! 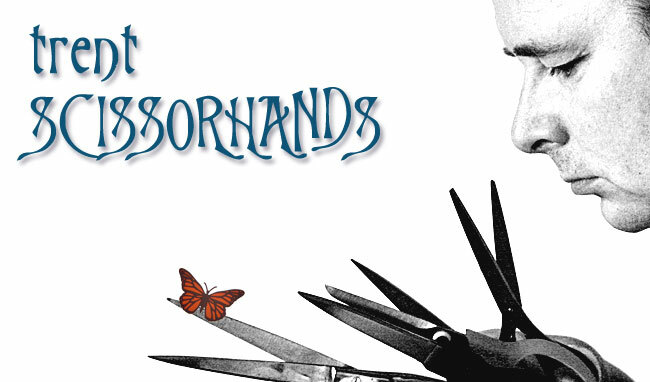 I had no idea that I had when I was creating this one and I had certainly no intention to make a similar one either. It kind of took away some of the joy! Still, I am happy with this one in it´s simplicity even thou it was not simple to make. The LO features the WWE wrestler and movie star John Cena and me. My son and I were fortunate again to stumble over the wrestlers on our last trip and since we both had our photos taken with most of them I have a bundle to scrap. Next up is John Cena and my son. 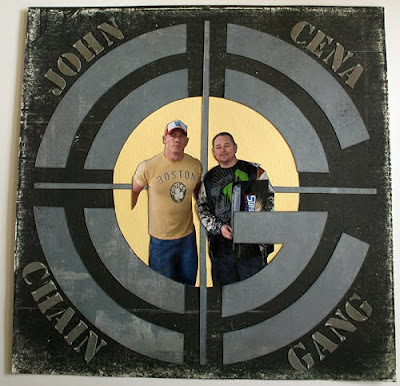 John Cena and me, the Chain Gang! A close up of my letters and glazing. Sometimes I do think that I am good, even great has crossed my mind! Yes, darling, you are great! (And the glazing looks even better IRL, believe it or not).